Damning claims have been made against the Department of Human Services’ Child Support agency. What is the point in denying the existence of a problem when it clearly exists? Given time, it will just rear its ugly head again and bite you firmly on the derrière. We’re talking about the Department of Human Services’ Child Support agency, formerly known as CSA. A series of damning claims has, yet again, been made against the agency. Department of Human Services general manager Hank Jongen tells The Saturday Telegraph the department “does not gather data regarding the circumstances of child support parent deaths”. However, Keith Owen, who oversees the Child Support Australia — Time For Reform And Fairness Facebook page, says: “They are ‘unofficially’ aware that their ­department is closely connected to suicide. The standard response on the phone is to “challenge” the caller and ask them to withdraw the threat, ­according to their internal procedure documents. Where is the transparency when it comes to the Department of Human Services’ Child Support agency? Jongen says the department “takes self-harm very seriously and works with community support services ­including Beyond Blue and MensLine to help at-risk parents”. Owen insists that if this government department is going to ­adamantly refuse to release data, they will “do it themselves”. There is something encouraging seeing the breakdown of previously unchallenged institutions as the masses continue to empower themselves via strong groups formed online. Isn’t the real issue here that this repeatedly criticised government department should be held accountable? Isn’t the key concern that they absolutely should keep statistics on this issue? After all, suicide and homicide are two issues into which the government is pouring spending. Where is the accountability if there is a connection here? Where is the due ­process? Denial is not a strategy. Surely, these statistics are absolutely vital in a government agency shaping its responses appropriately? “I spend hours every week assisting members with suicidal intent. We do not have our conversations online. “From the moment I know they are in crisis, I take this on personally. “We have members whose calculations have been over-estimated. They can’t afford to feed themselves and they’re told to get a food pack from the Salvos,” Owen says. His day job is counselling. “Long-term, there is a connection here that they are repeatedly denying. What do they intend to do about it? Of course, the answer is clear. It is beyond contempt that this agency is being allowed to trudge along in the mud, dragging itself along hoping no one will shine a light on the horrors that are continually occurring. Jongen says: “The department is responsible for administering the child support scheme and supports separated parents to transfer child support payments for the benefit of their children. Where is the accountability if there is a connection here? Where is the due ­process? Denial is not a strategy. Surely, these statistics are absolutely vital in a government agency shaping its responses appropriately? Unfortunately, this is your unlucky day. We are here to shine a light on the fact that your agency has blood on its hands. We are here to repeat to the nation that your agency is continually making calls out of hours despite your denials. This is causing severe distress to human beings who are trying desperately to keep their head above water. We are here to say that your ­evening or weekend calls aren’t helping ­either. Jongen says: “From time to time the department may make calls to speak with people who are unavailable during normal business hours. 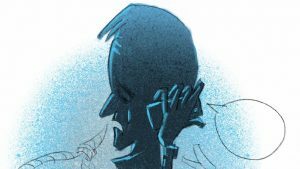 Is it really acceptable to call at the weekend and leave messages with ­instructions to call back urgently, but by the time someone is able to do so a decision has already been made? Are your bullying tactics acceptable? We are also here to shine a light on your laughable “Satisfaction Survey”. “Within our group, satisfaction with the CSA rates at 1 per cent. I raised this with the agency,” Owen says. Jongen says: “The department undertakes a customer satisfaction survey on the child support inquiry line. “The survey is randomly offered to 50 per cent of callers and survey ­results are calculated by an independent third-party survey ­provider. Isn’t it actually the case that Child Support employees are able to choose who does the survey? Funnily enough, we have very ­unsatisfied members who, when they get put through to complete the ­survey, the line becomes mysteriously disconnected. Ahh, the roaring flames and burning smell of guilt. Shall we do this loop one more time? * Any parents with concerns about their child support arrangements are encouraged to call the Department of Human Services on 131 272.